I need help solving this problem. 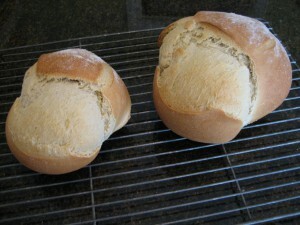 Does anyone know what could possibly be causing my bread to burst open at the place where I slash my loaves? I didn’t have this problem during the warmer months here in St. Louis. 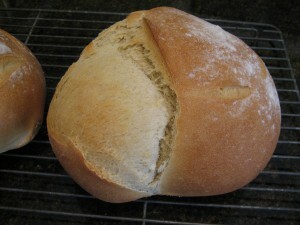 Now it’s winter here and the last few times I’ve baked bread, the loaves have cracked open as you can see in the photos below. This may be caused by the lack of humidity in the house during the winter months. Fossil fuel fired forced air heat can really dry out the environment. Maybe the oven responds to this…just a guess! Thanks for the feedback Doug!